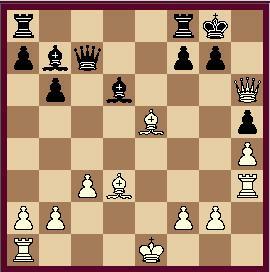 If 17.....gxf6 then 18. exf6 pinning the Bishop. 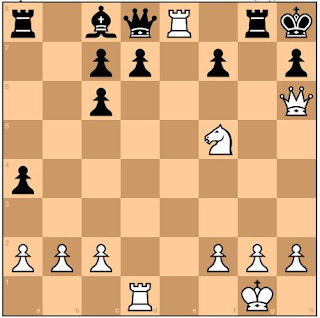 Black cannot parry simultaneous mating threats Qg7 and Qf6. 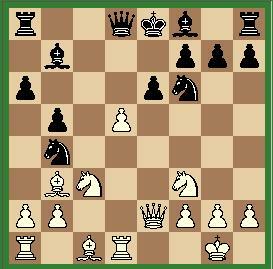 If 22.....Qg5 then 23. Qxg5 Rxe8 24. Qg7 mate. If 18....gxh5 then 19. Nh6 mate. Black secures the g7 square. If 23....gxf5 then 24. Bxf5 with mating threat at h7. Black resigned. If 25.....Qxe7 then 26. Qxh7+ Kxh7, 27. Rh5+ Kg8, 28. Rh8 mate. 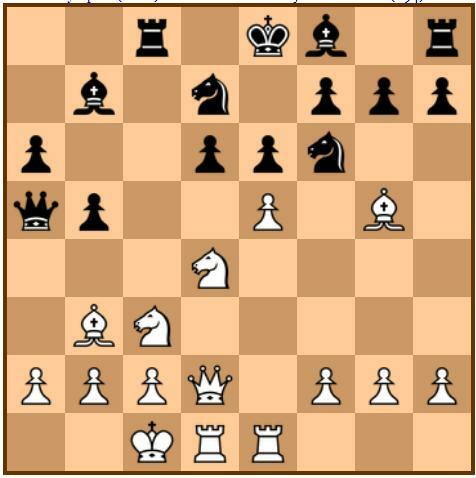 A pawn sacrifice at the center of the board is sometimes necessary to open up a central file. This post gives us an example of an attack while the opponent King is not yet castled. White intends to open the e-file. Black thought that White's Queen is going to h5, so he 'blocks' the square. White's reply surprises him. 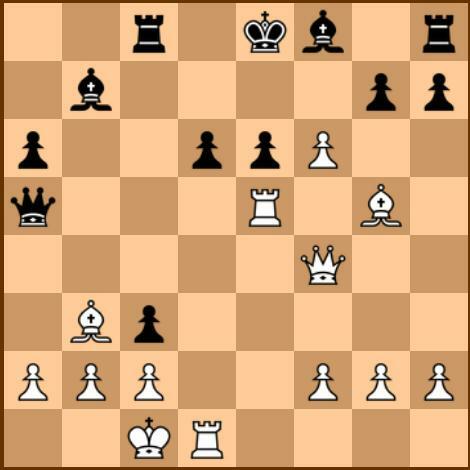 Black cannot handle the simultaneous threats at e7 (Knight fork) and mate at g7. 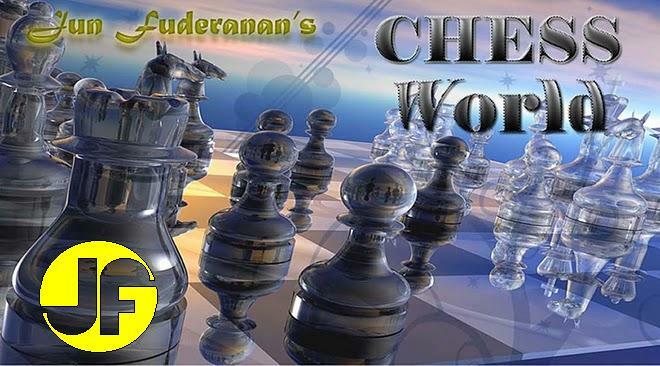 To view the game in PGN format, you may visit Spassky vs. Aftonomov. Black hopes to get an extra pawn, but White's reply surprises him. 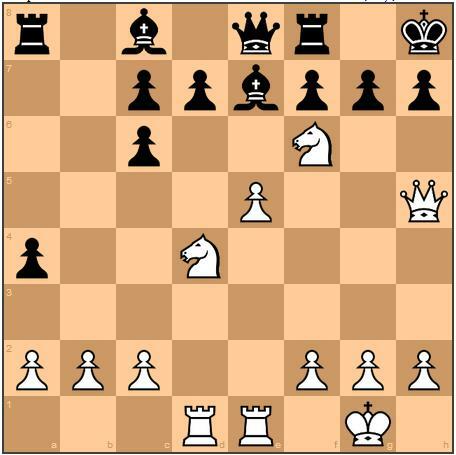 If 16.....gxh6, then White attacks with Qg3+ and threatens to capture the Queen with Ng6+. 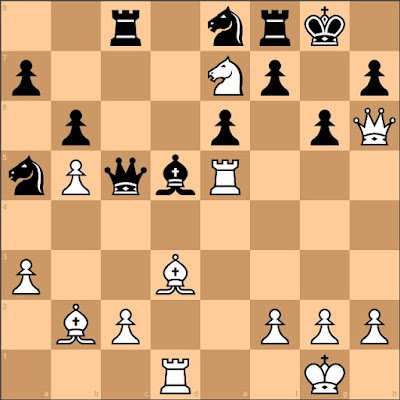 Black cannot capture the Knight because of the threat Bh7+. 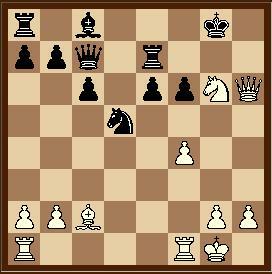 If 21....Rh7, then White mates with 22. Qf8. If 21....Rg7, then 22. 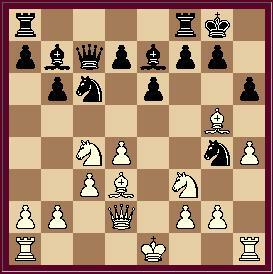 Qh8+ Kf7, 23. Qf8 mate. Superb play by Harry Pillsbury ! To view the game in PGN format, you may visit Pillsbury vs. Winawer. The beginning of White's attack, the objective of which is to create weaknesses along d and e files. However, Black refuses to take the bait. Black resigns. White threatens mate at f7. 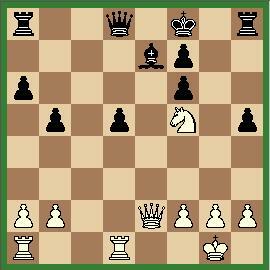 Now, if 16..... Qxe5, then 17. f7+ Kd7, 18.. Qxe5 and Black is lost.